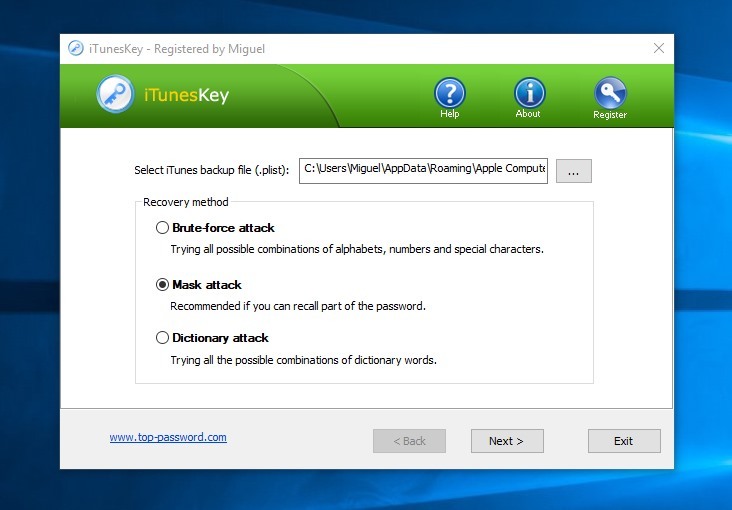 Did you lose your iTunes backup password? and you searched the web looking for a way to get back your data such as the contacts, photos or videos from the locked backup file? 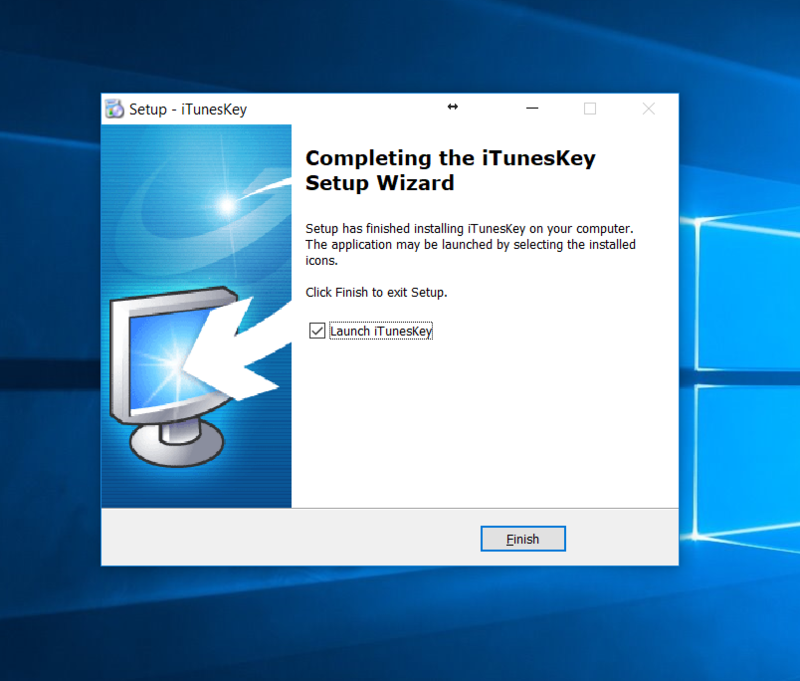 Well, this tutorial has the solution for you, I will explain step by step how you can recover your iTunes backup password using “iTunesKey” so you can unlock any iTunes backup file for whatever iPhone or iPad follow the below steps to guarantee a successful result. 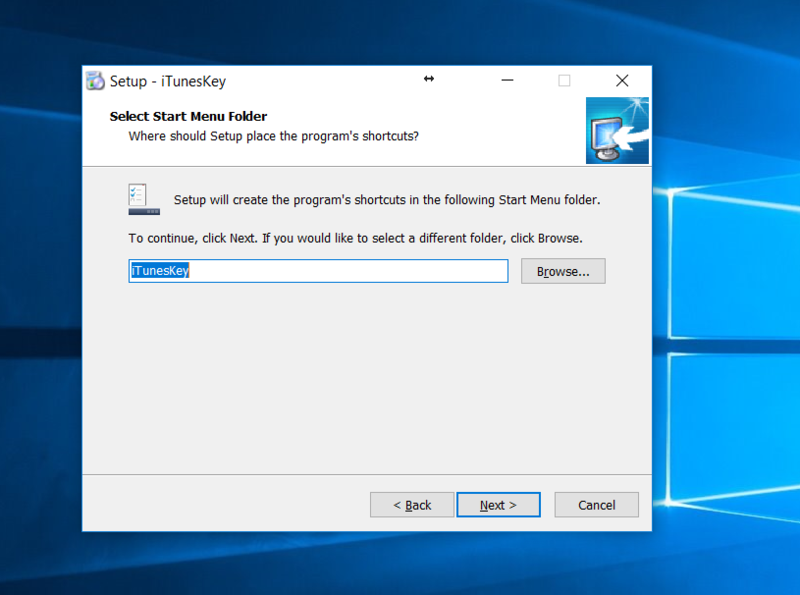 Once downloaded, run it to start the installation process, the first screen is the installation wizard, the “Welcome” screen, click Next. Select the destination folder but it’s recommended to leave it default and hit Next. On this screen, is just letting you know that a shortcut will be placed on your start menu items, Click Next. 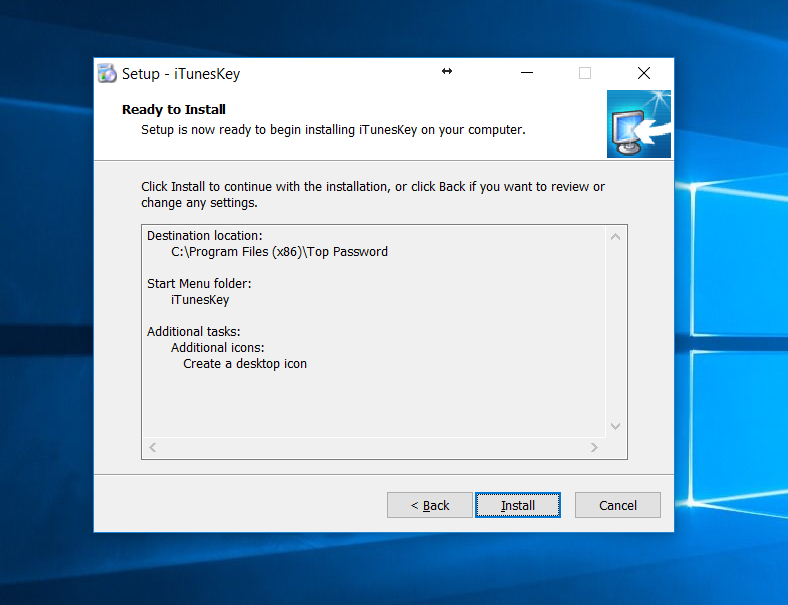 If you want to place “iTunesKey” icon on the desktop make sure to check “Create Desktop Icon” if not then uncheck it, and then click Next. On this screen, you will review the selection you made, then click “Install” to start the installation process. 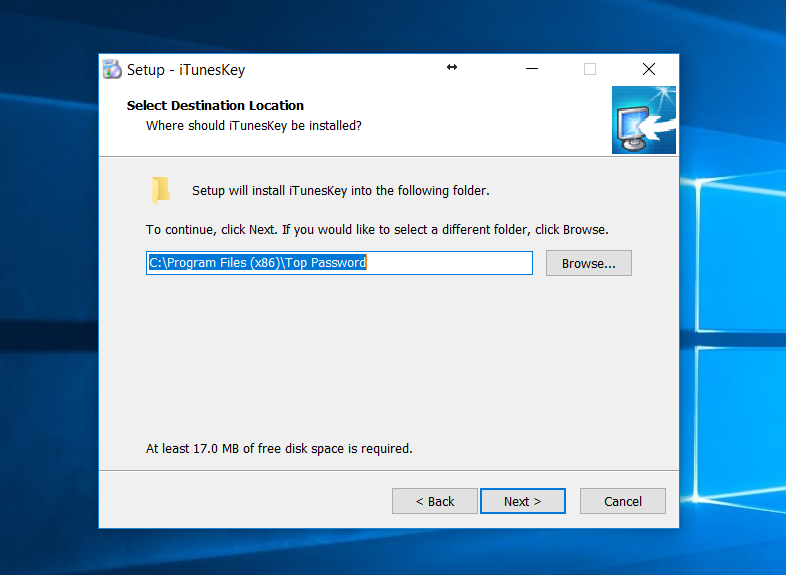 Once the installation is done, check mark “Launch iTunesKey” then click on “Finish” to launch the program. 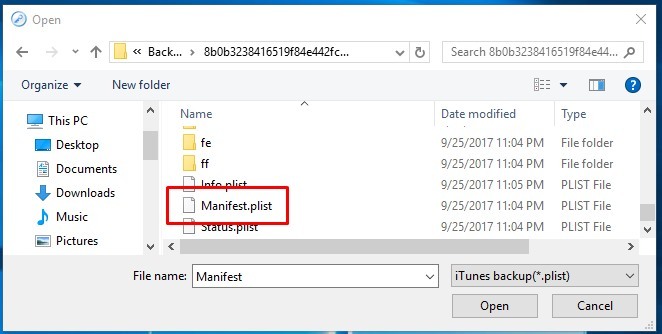 Back to “iTunesKey“, here click on the button with 3 dots, to browse and select the “Manifest.plist” file, then choose the recovery method. Brute-force attack: This will try all the combinations of the passwords whatever it contains alphabets or numbers or even special characters like “!@#$%!..etc”. 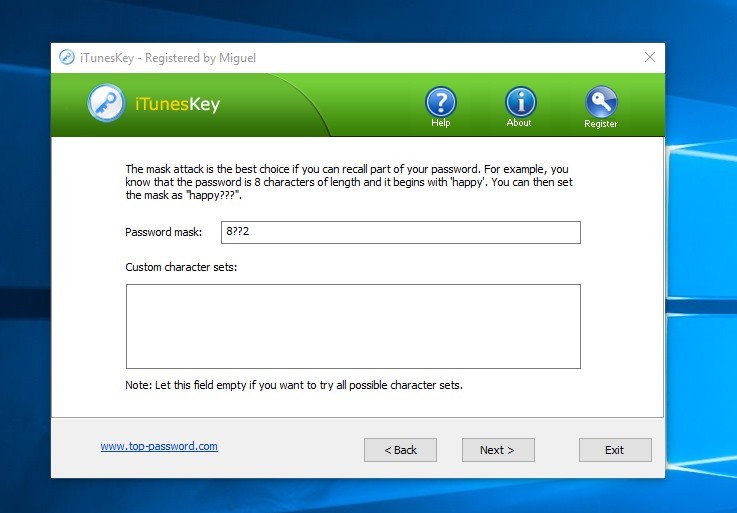 Mask attack: This is the recommended method if you can remember any characters from your backup file password. 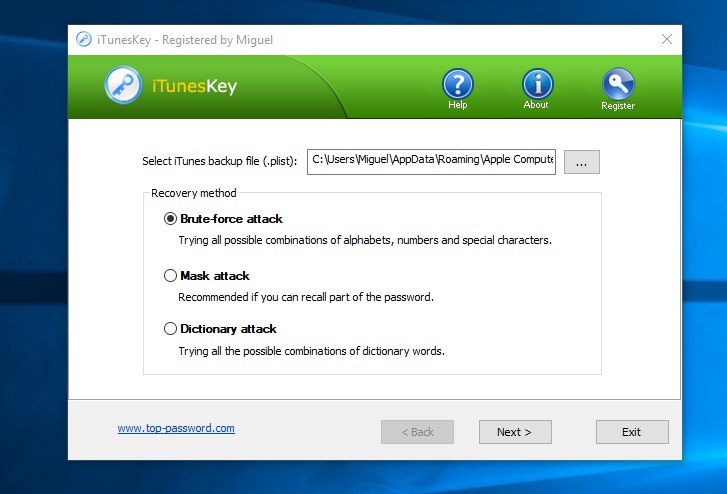 Dictionary attack: This will try all the possible words that could be the password of the backup file. 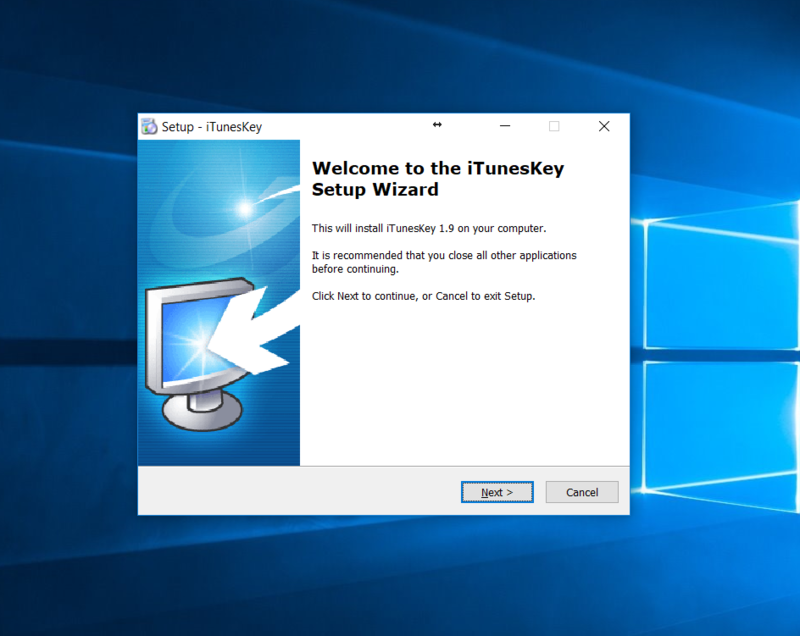 Depending on the recovery method you select the process of recovering iTunes backup password is different, I’ll show you all three methods stating with Brute-force attack. If you select “Brute-force attack” set the complexity level to recover your password such as how many characters you think it had, if it contains a special character, uppercase letters, lowercase letters. and click next to start recovering it. Mask attack are for those who can remember part of the password, the Mask attack is the best choice. 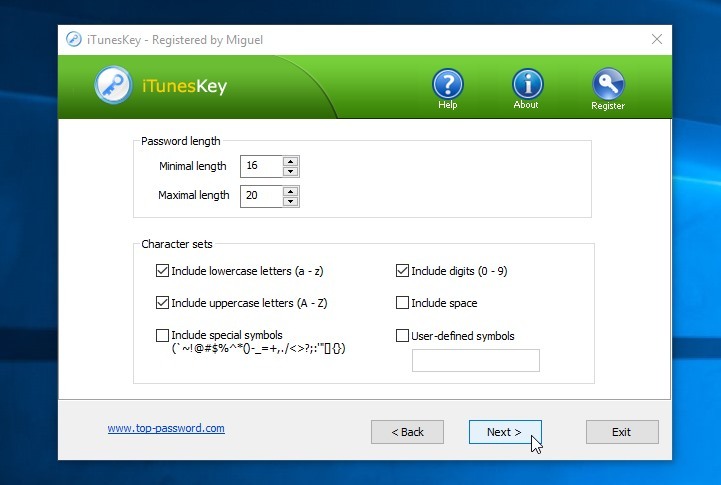 Enter as much characters you can remember from your password, and it will help the application recover the password faster. let’s say that you know that the password contains 4 characters, starts with “8” and ends with “2“. So, the Password mask should be set to “8??2“. This method will try all the possible words that it’s already stored in the application dictionary. 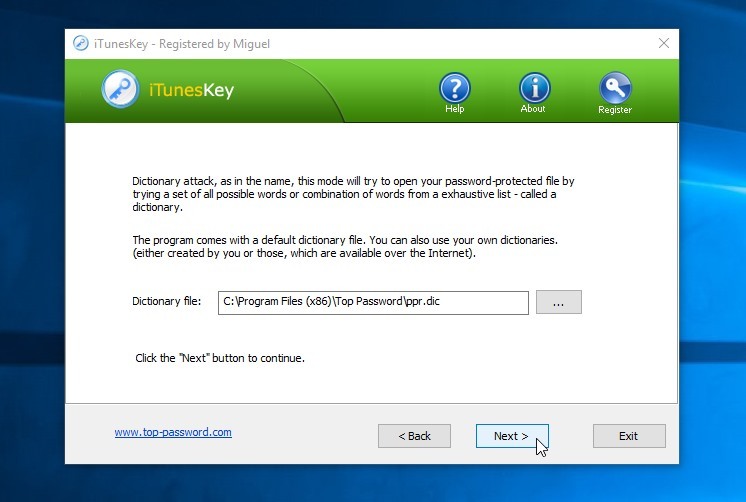 Generally, Dictionary attack succeed because many users have a tendency to choose passwords that are short, single words in a dictionary, or easily-predicted variations on words. 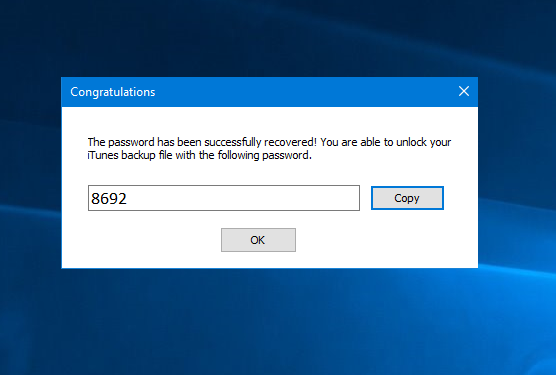 After selecting the suitable recovery method, click “Next” to start the recovery process and for sure it will take some time but once the program discovers your password it will display it like the screenshot below.